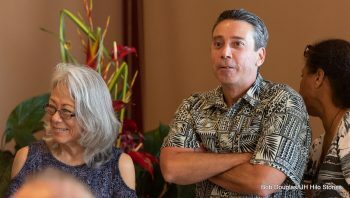 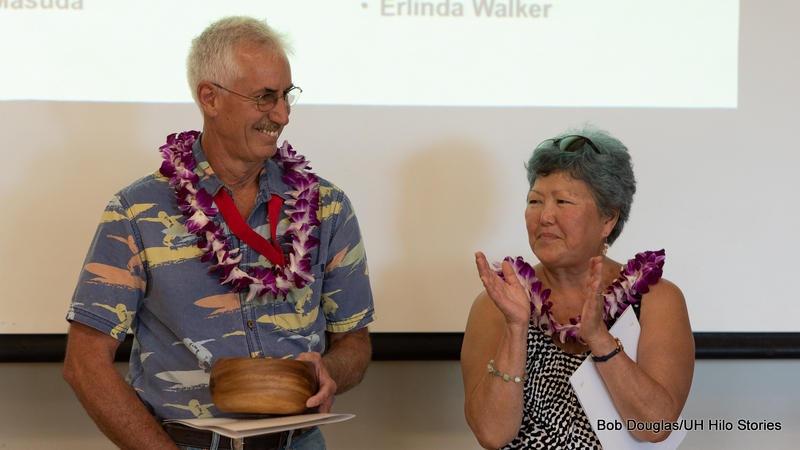 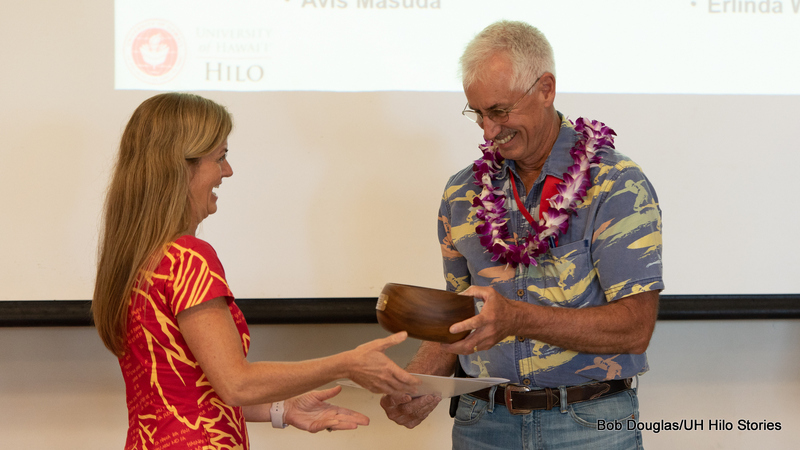 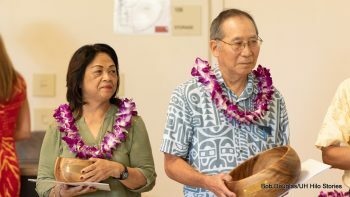 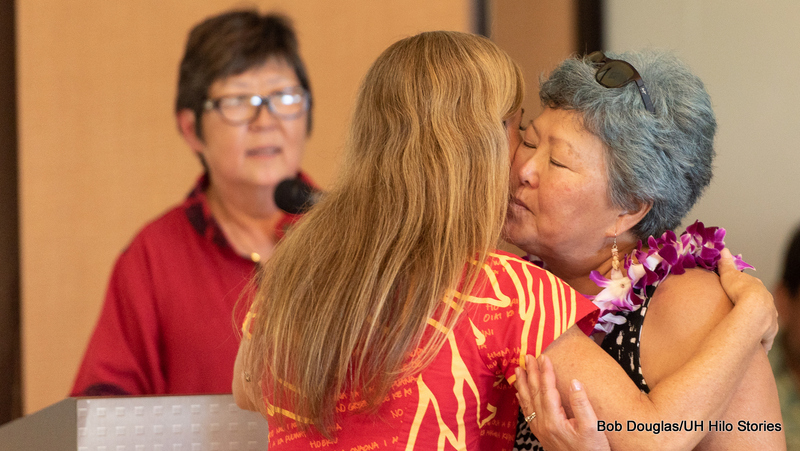 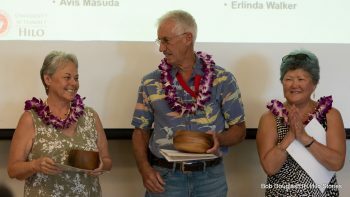 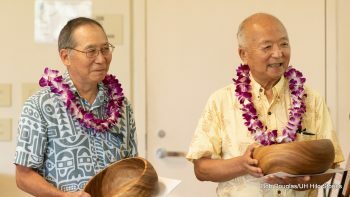 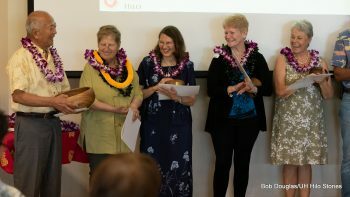 Recent retirees and employees marking milestones of 10, 20, and 30 years at the University of Hawai‘i at Hilo were recognized at the 2018 Awards and Recognition Celebration on May 3. 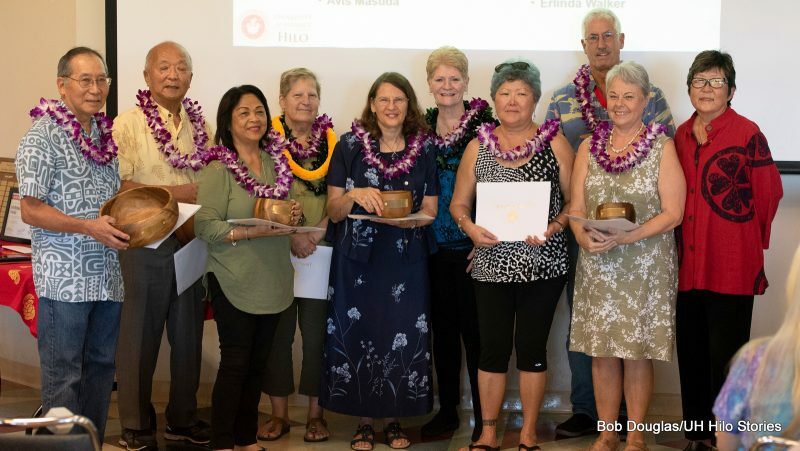 Retirees at recognition event stand with Interim Chancellor Marcia Sakai (far right). 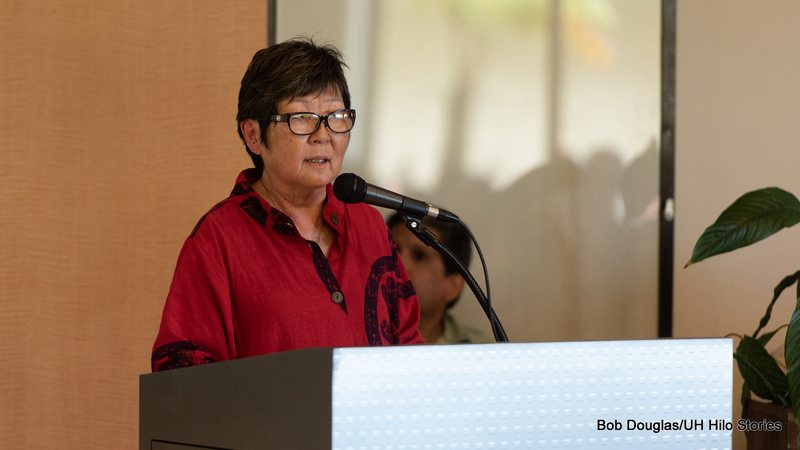 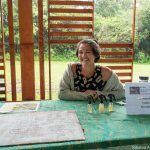 Leomi Bergknut—Student Leadership Development Coordinator, Campus Center, 6 years. 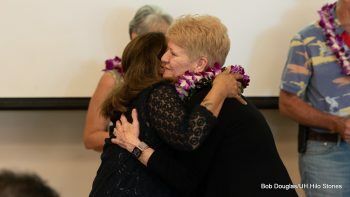 Susan Brown—Professor of Psychology, 31 years. Robert Hamilton—Instructor and Student Support, 21 years. 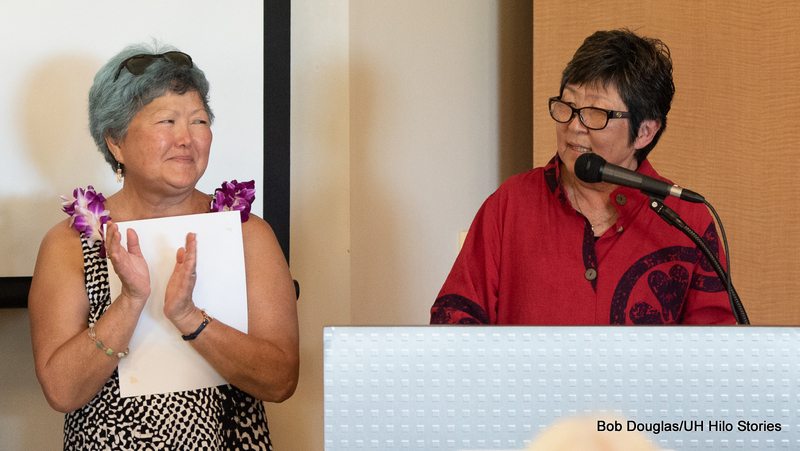 Janis Iyo—Research Support, 30 years. Jackie Johnson—Professor of Drama, 37 years. Kolin Kettleson—Director of Auxiliary Services, 27 years. Ivy Losh—Office Assistant, Campus Center, 10 years. 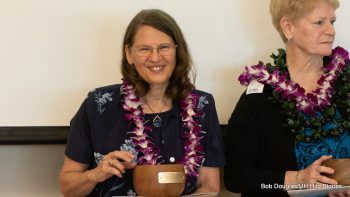 Eileen Lovell—Associate Professor of Nursing, total 20 years. Avis Masuda—Associate Professor of Education, 10 years. 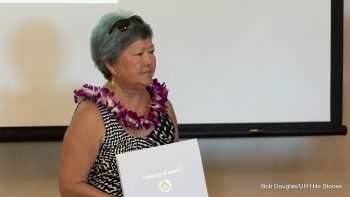 Barbara Meguro–Instructor of Computer Science, 15 years. Neal Nagao—Building Maintenance, 30 years. 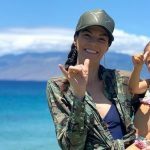 Hazel Reece—Junior Specialist Lab Coordinator, Nursing, 10 years. 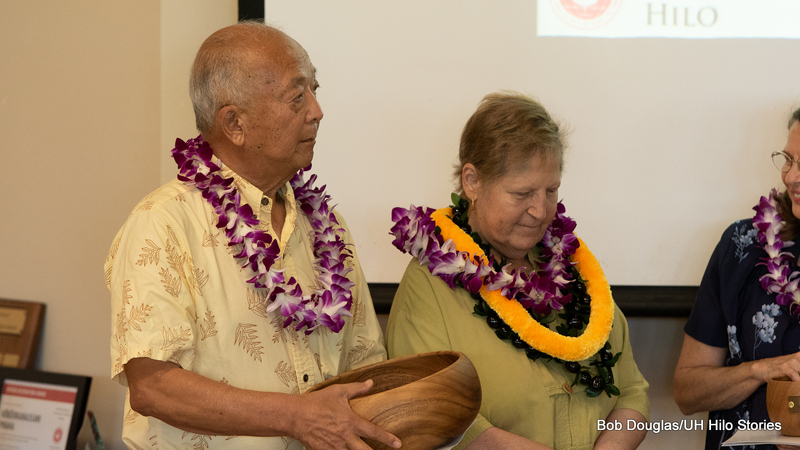 Bill Sakai—Professor of Horticulture, 41 years. 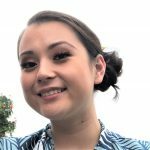 Irene Sakamoto—Assistant, Human Resources, 23 years. Alan Sugiura—Supervisor, Auxiliary, 36 years. 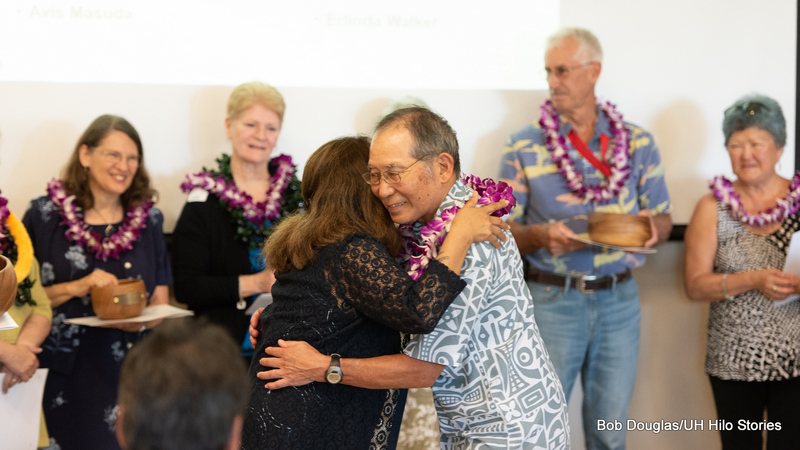 Mike Tanabe—Professor of Horticulture, 42 years. 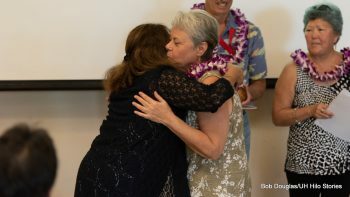 Erlinda Walker*—Office Assistant, Financial Aid, 19 years. 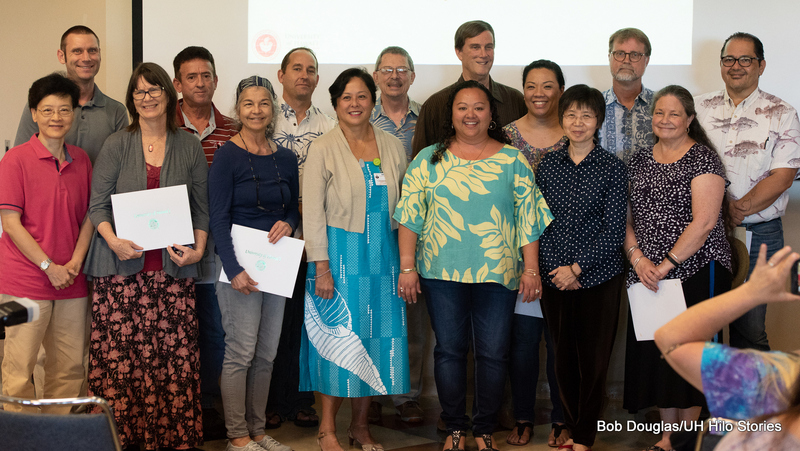 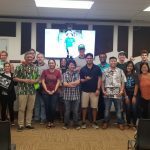 UH Hilo employees with 10 years of service and attended event gather for group photo. 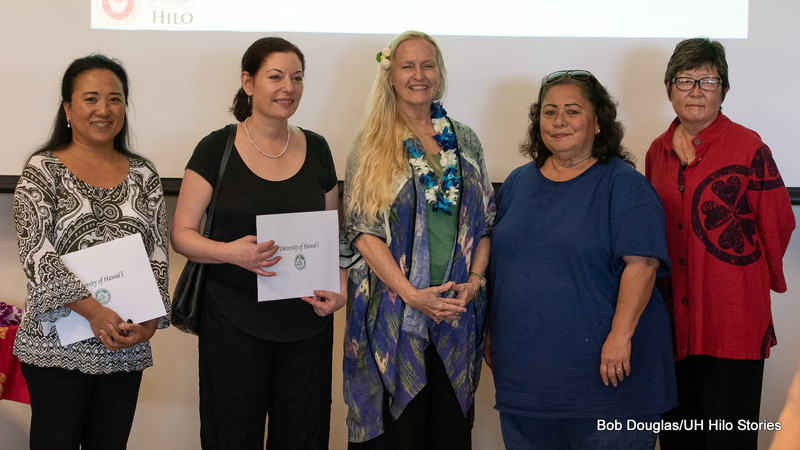 Four members of the UH Hilo ohana who reached the milestone of 20 years of service attended the recognition event and stand with Interim Chancellor Marcia Sakai (r) for a group photo. 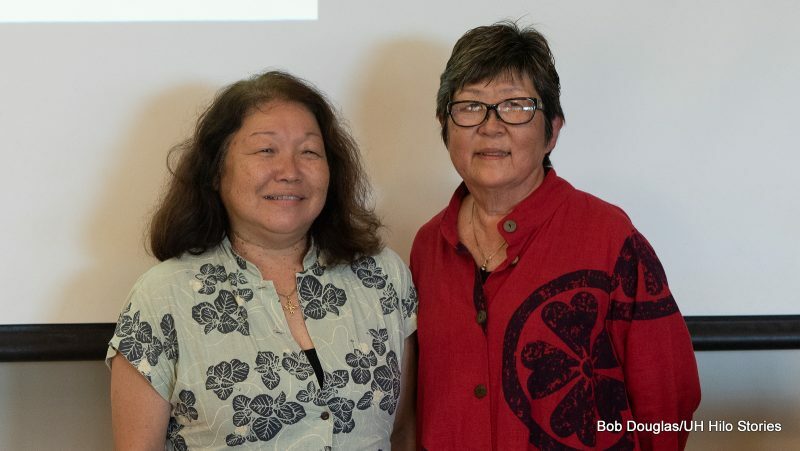 Tammy Tanaka, who attended the event, and Marcia Sakai.